China is developing an insatiable appetite for gold, and the country could soon become the world’s largest buyer of the precious metal. 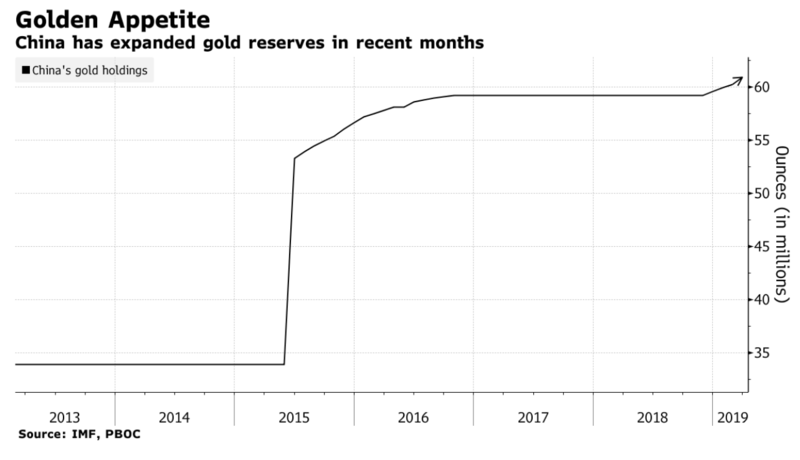 China is currently on a big gold-buying spree, with the country’s central bank steadily bulking up its already enviable stockpile. According to data on its website, The People’s Bank of China (PBOC) added 11.2 tons to its reserves in March to bring total reserves to 60.62 million ounces (1,894.4 tons). That follows inflows of 9.95 tons in February; 11.8 tons in January and 9.95 tons in December as Asia’s largest economies faces slowing economic growth. The current pace of accumulation closely mirrors the period spanning mid-2015 to October 2016, when the PBOC steadily added to its reserves on an almost monthly basis. If China continues buying at the current pace, it’s likely to finish the year as the world’s second-largest gold buyer after Russia which bought 274 tons in 2018. Russia has quadrupled its reserves over the past decade as President Vladimir Putin attempts to break the country’s reliance on the dollar. Last year, governments around the world added 651.5 tons of bullion, with emerging-market central banks being among the largest buyers. Central banks have been buying gold at the fastest clip since 2012 and now account for 10 percent of global demand. Total global central bank gold reserves by the end of 2018 stood at just below 34,000 tonnes, which works out to roughly 20 percent of the estimated above ground supply of 175,000 tonnes. China is the world’s top producer and consumer of the yellow metal. In 2007, the country overtook South Africa as the world’s largest producer and has maintained pole position ever since. In 2017, China mined 430 tonnes, about 50 percent more than second-placed Australia. Yet, China is peculiar among gold producers. 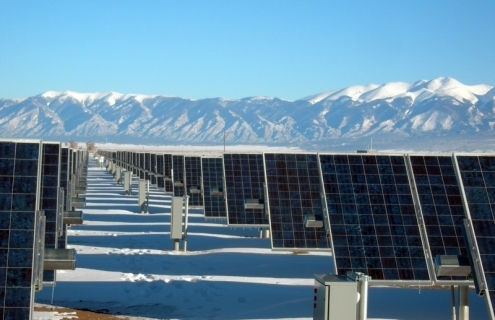 Although the country now accounts for 15 percent of annual global production, it does not sell a single ounce abroad. On the contrary, the country has ramped up gold imports and now ranks as the world’s largest importer of the commodity after overtaking India in 2014. China buys much of its gold from Hong Kong, London, Switzerland, Australia, and Singapore. And Just like Moscow, Beijing also encourages its citizens to hoard the metal probably for a similar motive. Overall, China’s production and imports have shot up by a big margin over the past decade. 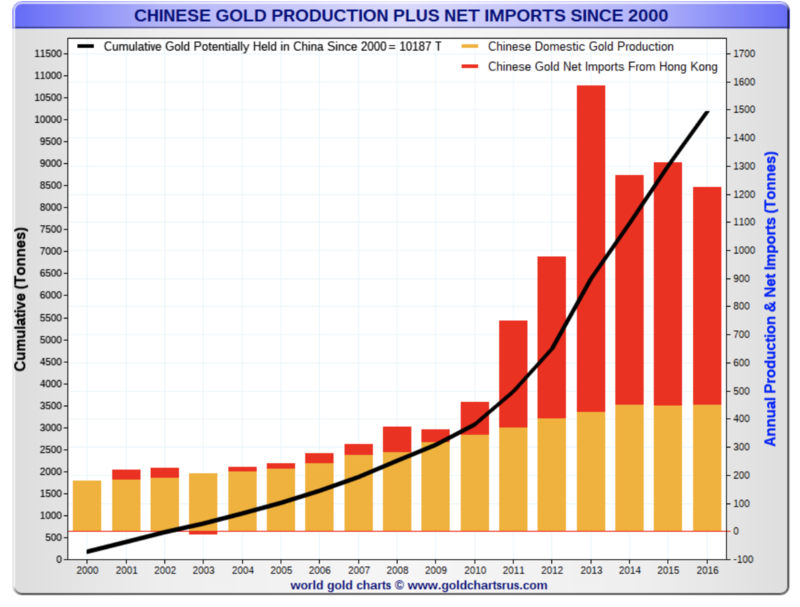 Yet, China’s actual gold reserves could be much higher than reported. The PBOC only releases its gold holdings sporadically, occasionally going through long periods of as many as five years before divulging any information. Some experts contend that holdings by the central bank are likely much higher than the stated 1,894 tons. Ross Norman, CEO of Sharps Pixley, told media that the latest figures released by the bank are probably manipulated to be just high enough to satisfy the IMF criteria for the country’s inclusion in SDRs (IMF’s international currency basket) but still low enough so as to avoid being viewed as a threat by the US. 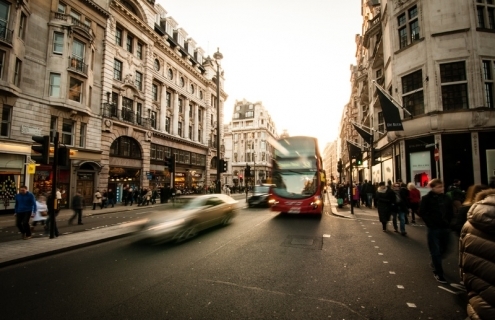 To avoid making full disclosures, the PBOC prefers an OTC (Over-the-Counter) market such as London which does not require disclosure on customs reports to exchanges such as Shanghai Gold Exchange (SGE) which do. Further, the PBOC is not the only government agency that buys gold. Others include the military, State Agency for Foreign Exchange and China Investment Corporation, the country’s sovereign wealth fund. Bron Suchecki of the Perth Mint estimates that the PBOC and other commercial banks hold 45 percent of China’s gold reserves with the remainder being private and institutional holdings. Precious metals analyst Koos Jansen concurs with Pixley’s sentiments, saying PBOC’s reserves could be closer to the 4,000-ton mark. He estimates total gold reserves by China at a staggering 21,021 tons. While China’s central bank gold buying reserves appear impressive, it still has a long way to go to catch up to the developed world. 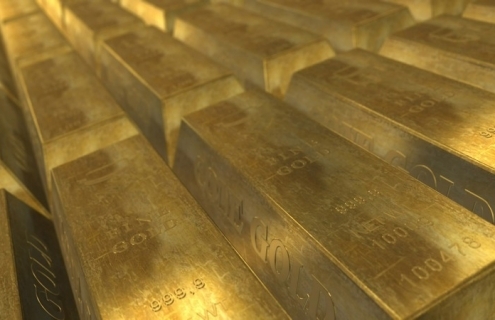 According to World Gold Council Data data, the U.S. government ranked as the largest holder of bullion with reserves of 8,133.5 tonnes by the end of 2018. That’s roughly an ounce of gold for every citizen, and works out to 73.8 percent of the country’s forex reserves. In sharp contrast, China’s 1,842.6 tonnes represented just 2.3 percent of the country’s forex reserves, the lowest among the world’s 20 richest nations. 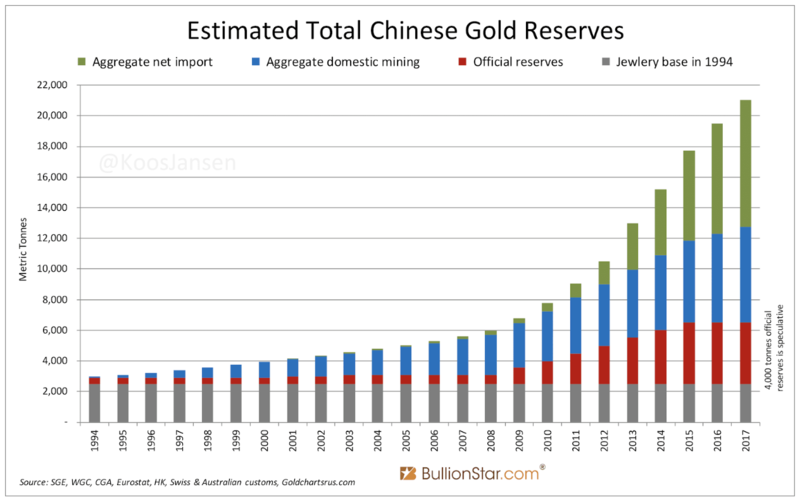 Even doubling that figure as per Jansen’s estimates would mean that China’s gold reserves are only ~5 percent of its forex reserves. 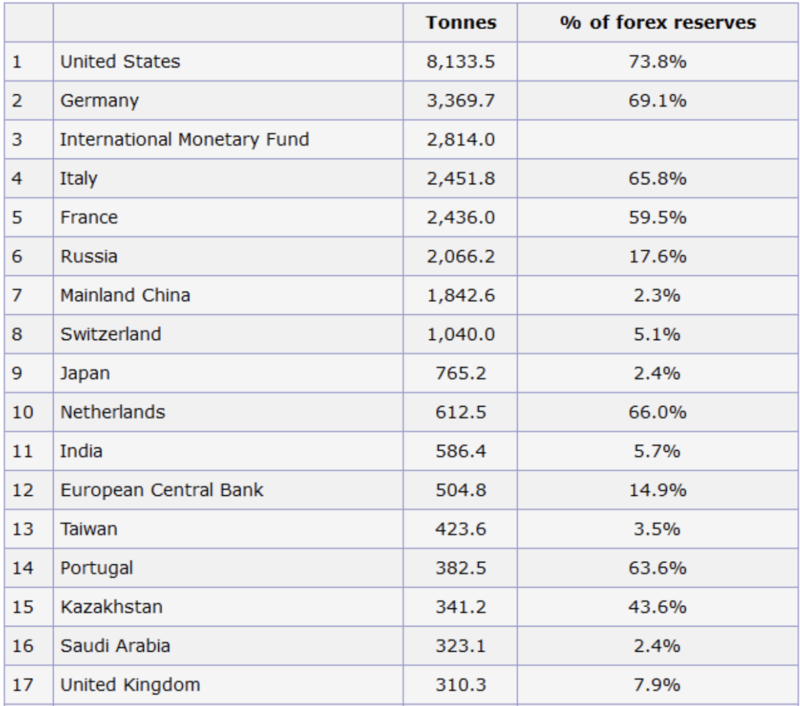 China would have to more than quadruple its reserves just to reach Russia’s level of 17.6 percent of forex reserves. That implies many more years of buying ahead.